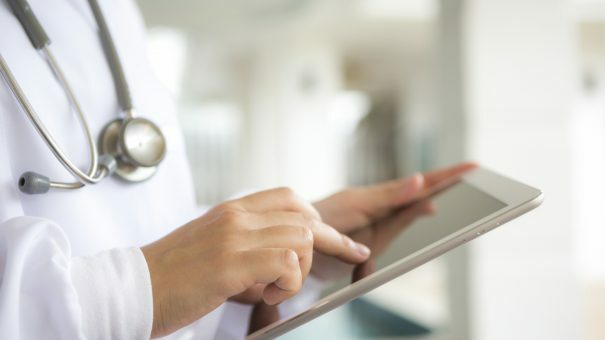 Updating monitoring strategies and combining them with the latest technology can streamline clinical trial processes to generate higher quality data and increase patient safety, says Brett Wilson. Traditional on-site monitoring has been trusted to provide a certain level of generalised quality control for subject safety and reliable data generation, alongside heavy reliance from source data verification. However, these methods can be inefficient and time consuming, too, and may not guarantee the highest quality data. They also typically place the same level of focus on all parts of a trial, rather than pinpointing the areas that may carry more risk to participant safety and data integrity. Not surprisingly, this has led to health authorities, and more recent draft changes to guideline ICH E6, recommending a shift to embedding quality management principles and risk-based monitoring (RBM). Across the industry companies are beginning to move to a more risk-based approach to clinical monitoring that is intended to enable sponsors and site personnel to focus on the critical data, processes and issues that matter to each trial. These newer RBM methods – which include central and statistical monitoring, along with sponsors leveraging the latest technologies – may provide a more holistic and proactive approach to trial monitoring. This should help to refocus monitoring efforts on areas with the greatest risk and need, leading to increased overall efficiency. TransCelerate Biopharma, a non-profit organisation comprising some of the world’s leading biopharmaceutical companies, has taken steps to help companies manage the new changes. The collaboration launched the TransCelerate RBM Initiative in 2012, one of five initial ventures aimed at driving effective solutions in the R&D industry. Its RBM methodology position paper – which is relevant to any type, phase and stage of a clinical trial – outlines how. By identifying critical data and processes at the protocol level prior to study start, potential risks and issues can be highlighted faster through both central and off-site monitoring techniques. These enable more targeted efforts with on-site monitoring. To facilitate practical implementation considerations when considering RBM, TransCelerate has now moved beyond this position paper to provide useful tools and information to support companies that wish to scale up RBM. Terms such as source data verification (SDV) have been defined and new ones, like source data review (SDR), have been added. To better evaluate where the focus should be, TransCelerate also sponsored a study that looked into the value of SDV. This involved a retrospective analysis of SDV in more than 1,000 studies as well as separately assessing the cause in more than 1,300 major and critical audit findings. The conclusion was very supportive of moving away from reliance on SDV as a quality control measure to a RBM approach. The venture has also published papers outlining how to put concepts such as central monitoring into operation, how to ensure better data integrity and detect serious data integrity issues, and explaining the technology needed to best support risk-based approaches. It has also updated the risk assessment and categorisation tool (RACT), based on feedback, and provided tips for how best to use it. The first addresses questions that arise as the TransCelerate RBM methodology is implemented into clinical trial practice, particularly regarding SDV, SDR and RACT best practices. It also presents its qualitative performance metrics collected anonymously from member companies that have implemented RBM practices. The second looks at the eight TransCelerate metrics that are collected on clinical studies implementing RBM. Published papers also keep companies informed. Recent paper topics include member company observations and input on the technology elements needed to implement RBM efficiently; best practices to help identify issues and define expectations on the rates of issues affecting data quality, including fraud and misconduct: ‘Detecting data quality issues in clinical trials: current practices and recommendations’; and one on central statistical monitoring: ‘Statistical monitoring in clinical trials: best practices for detecting data anomalies suggestive of fabrication or misconduct’. As drug development moves ahead in an increasingly digital environment, it is crucial that the industry has access to information on the adoption of risk-based monitoring best practices. This refinement of process, elimination of inefficiencies and movement towards centralised analytics will be invaluable to the entire clinical trial ecosystem – promoting patient safety, improving data quality and potentially lowering costs. 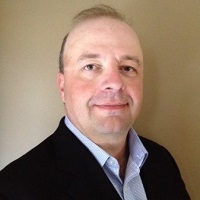 Brett Wilson is head of Monitoring Excellence at Bristol-Myers Squibb (BMS), and leads the TransCelerate RBM and eSource Initiatives.